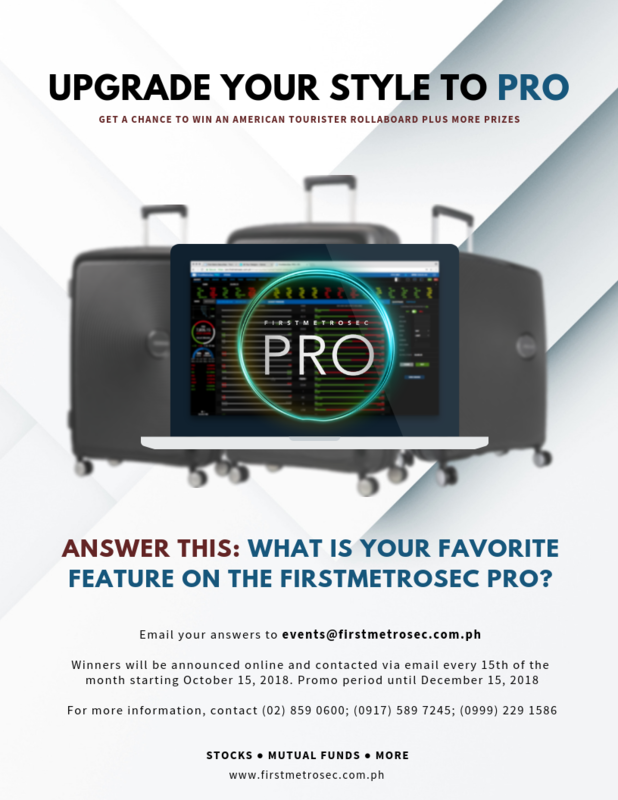 ANSWER THIS: WHAT IS YOUR FAVORITE FEATURE ON THE FIRSTMETROSEC PRO? Email your answers to events@firstmetrosec.com.ph. Winners will be announced online and contacted via email every 15th of the month starting October 15, 2018. This is open to all FirstMetroSec PRO users. Promo period until December 15, 2018. Don't have a FirstMetroSec PRO account yet? E-mail customerservice@firstmetrosec.com.ph or contact (02) 859 0600; (0917) 589 7245; (0999) 229 1586 for more information.